Rent any talk of the ChristLife Series - Discovering Christ, Following Christ, and Sharing Christ - for $2. You can watch your rented talk as many times as you like in a 48-hour period. Rent and watch Talk 8 of the 2019 Following Christ: "The Devil". This is the 3rd talk of the retreat day. Rent and watch Talk 9 of the 2019 Following Christ: "The Heart of a Disciple". 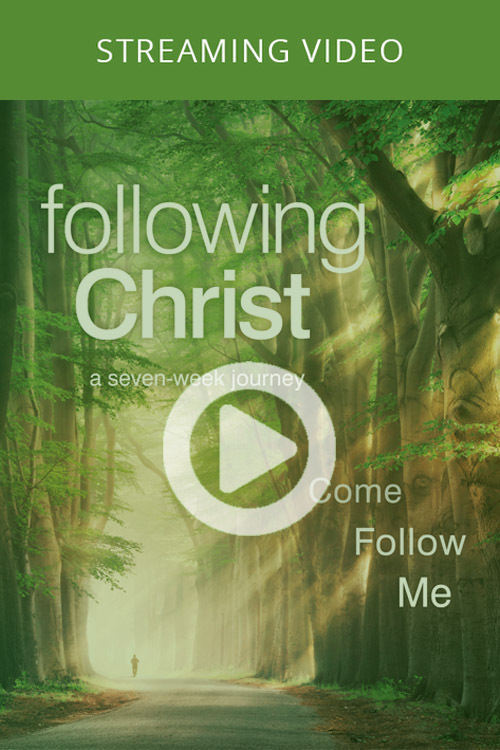 Rent and watch Talk 10 of the 2019 Following Christ: "Going On with the Lord". Rent and watch Talk 1 of Discovering Christ: "What is the Meaning of Life?" in streaming HD. Rent and watch Talk 2 of Discovering Christ: "Why Does Jesus Matter?" in streaming HD. Rent and watch Talk 3 of Discovering Christ: "What Does Jesus Want Us to Know?" in streaming HD. Rent and watch Talk 5 of Discovering Christ: "Why Is the Resurrection Important?" in streaming HD. Rent and watch Talk 7 of Discovering Christ: "The Holy Spirit and You (retreat)" in streaming HD. Rent and watch Talk 8 of Discovering Christ: "New Life in the Spirit" in streaming HD. Rent and watch Talk 2 of Sharing Christ: "Befriending Others". Rent and watch Talk 5 of Sharing Christ: "Presenting the Good News". Rent and watch Talk 6 of Sharing Christ: "Inviting Others to Meet Jesus". Rent and watch "What is Discovering Christ and Why Does it Work" for a 48-hour period. Rent and watch "Running a Fruitful Course" for a 48-hour period. Rent and watch "Facilitating an Evangelizing Small Group" for a 48-hour period. Rent and watch "A New Pentecost for the New Evangelization" for a 48-hour period. Rent and watch "Where the Rubber Meets the Road" for a 48-hour period.